The Summer School, ‘Global Challenges’ at ISCTE-IUL in later September was a fitting forum for a presentation on Iran and Europe after the Nuclear Deal: opportunities and challenges. The primary message of this talk was to highlight global interdependence when it comes to security threats and the importance of concerted approach to mitigating crises in the Middle East, given that conflicts in West Asia and North Africa have a direct impact on Europe. 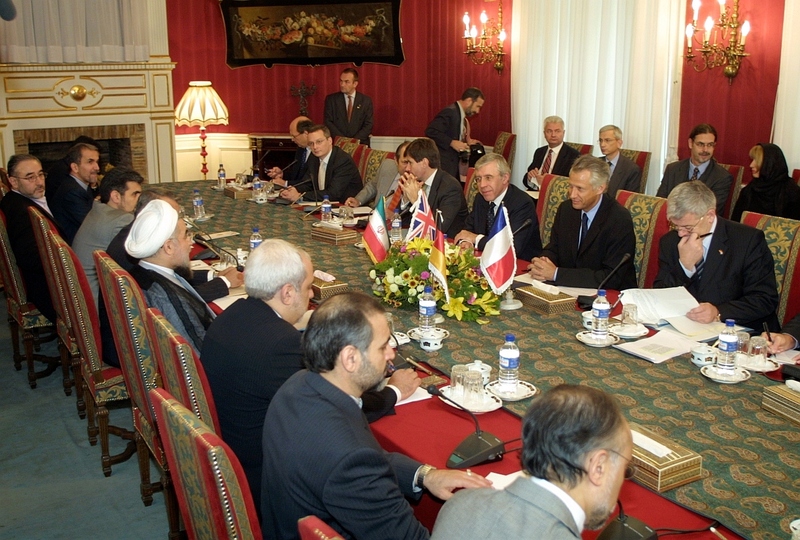 Europe’s proactive role as mediator in the nuclear deadlock with the Islamic Republic of Iran is a good example. The validation of sustained engagement with Iran culminated in the watershed nuclear deal – the ‘Joint Comprehensive Plan of Action’ (JCPOA) – setting in motion a peaceful end to the nuclear standoff, and opening a diplomatic channel between Iran and the outside world. Since the agreement was signed, in July 2015, and concluded on 16 January 2016 – on what was heralded as ‘Implementation Day’ – a new political space has opened for both Europe and Iran to pursue diplomacy on a wide spectrum of contentious matters. First, nuclear proliferation is a global concern with its own international legal framework. Countries such as Saudi Arabia, Egypt, the UAE, and Turkey have already signalled that they want similar rights as Iran. The Iranian nuclear file has become a yardstick of what is possible, representing the red lines of nuclear proliferation in the Middle East and beyond. Second, Iran’s nuclear file has exacerbated regional animosities – in particular with Saudi Arabia – which has had an impact on conflict zones from Yemen and Syria, to Iraq and Lebanon. In turn, these conflict zones have triggered a refugee crisis in Europe which has had an impact on European politics, including the critical resurgence of right-wing, anti-immigration parties, radicalisation, and the politics of identity. Europe finds itself in the critical position to use the political momentum created by the nuclear deal to engage Iran across a range of issues, on which it has both conflicting and overlapping interests. Today, Iran is heavily involved in Iraq, spearheading the fight against ISIS through its militias and the advisory, training, and material support it offers to the Iraqi army. It is also heavily involved in the crisis in Syria: directly through military advisors, funding and weapons, and with special forces, and indirectly, through the support it offers its proxy Hezbollah and other Shia militia groups. While present, Iran’s involvement in the Yemen conflict is not as straightforward; it advises the Houthis, but the group does not respond to Tehran like its other allies do. Furthermore, Iran is skilful at using soft power to gain influence, which is visible throughout Lebanon, where Tehran helped build parts of the country’s infrastructure. In Iraq, the country’s Shia majority is an important constituency for Iran, which it maintains close ties with. Iran also focused on developing trade ties with Iraq, especially during sanctions, and Tehran encourages Iranian companies to invest in Iraqi infrastructure. Europe can engage Iran on a broad spectrum of issues, from defusing regional conflicts, to ensuring adherence to the legal framework of the JCPOA, to trade, and to human rights issues. Europe can explore the opening created by the JCPOA to utilise Tehran’s role in ways that are of mutual interest and Iran is likely to respond positively. In order to benefit from global economic markets and strengthen its domestic legitimacy, Iran needs to reintegrate into the international political stage and so it will be motivated to recalibrate its regional calculations in exchange for such reintegration. Iran’s participation in the talks on Syria in Vienna in October-November 2015 and negotiations to free the US sailors captured by Iran in its territorial waters in January 2016 are evidence of this. In de-escalation of conflicts, and in particular in the battle against terrorist movements. This threat could be taken as another pathway along which trust can be built and common interests are identified. Europe could intensify its coordination with Iran on the anti-ISIS campaign in Iraq and engage more meaningfully over a solution to conflict in Syria. And Iran has influence that could be brought to bear in reducing conflict in Yemen. A similar option applies to Afghanistan. Iran, Europe and the United States have cooperated in the past to bolster the central government in Kabul and to ward off the Talibanisation of the area. In the long-term, with its vast oil resources and the second largest gas reserves in the world. Iran is uniquely positioned at the crossroads of several pipeline routes from Afghanistan, the southern Caucasus to Turkey and several maritime routes in the north (Caspian Sea) and the south (Persian Gulf). Thus in the long-run, Iran can play a role in Europe’s energy diversification. One of the last great untapped emerging markets in the world, Iran has a huge consumer market with a population of 80 million people. Since signing the interim nuclear deal in Nov 2013, more than 200 European trade delegations have visited Tehran. 3. Iran and Europe have been connected through trade, immigration and cultural interactions for centuries. As a result, there are many 2nd and 3rd generation Europeans with an Iranian background, several of whom hold influential posts. Thus, the EU holds immense cultural resources when it comes to dealing with Iran. Since the signing of the deal, there have been initiatives geared at exploring Europe and Iran’s common heritage and shared histories recasting the ‘othering’ narrative of ‘us versus them’ and the ‘inevitable clash of civilisations’. Europe can channel this capital to foster a more substantive intellectual exchange or a boost two track diplomacy (coordinating with Iran to encourage student exchanges, funding for joint research projects, institutional collaborations). 4. There is criticism that the West conceded to the nuclear deal without addressing what it perceives are Iran’s human rights violations. All of the measures and initiatives I have discussed – ensuring full implementation of the nuclear deal, formalising political relations, increasing trade, and investment, and fostering cultural interaction- will inevitably give Europe more tools in pushing Iran to improve its human rights record. It will take time to build confidence with Iran, and a lot hangs in the balance – but the nuclear deal is a good start — one that many critics predicted would never happen. In more general terms and with reference to the wider theme of ‘Global Threats’: The Iranian nuclear file, as a case study speaks to a different approach to security, one which is not based on forms of ‘gunboat diplomacy’. Countries like Iran do not react to such coercion. Security in the Middle East is connected to the security of Europe and the other way around. The recent migrant crisis and the continued threat of terrorism are good examples. What is needed, because of this inter-connectivity, is an inclusive and constructive approach to global threats and security issues. The JCPOA is a good example for the viability of such ‘positive diplomacy’.